A rare find in the Reedley area. This lovely ranch home is situated on a quiet country road on the bluff of Wahtoke Creek. This well maintained home with upgraded flooring features a spacious open floor plan with 4 bedrooms and 2 baths, large yards with plenty of space to entertain and enjoy life. 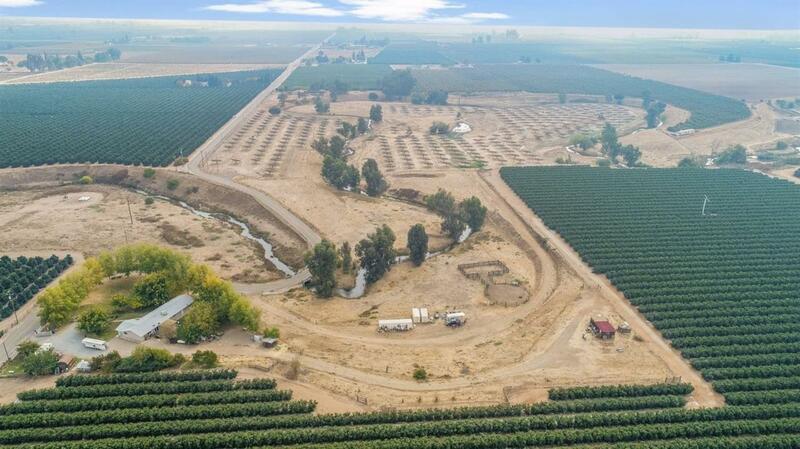 This unique property includes 2 parcels (44.18 +- acres) that are fenced and cross fenced. Approximately 20 acres of the property is leased to a Solar Generation Company that is available for grazing (species specific) and the remainder has unlimited grazing potential. Scenic Wahtoke Creek meanders through both parcels with Horse Trails and a true get away from it all atmosphere. Listing provided courtesy of Tim Thiesen of Guarantee Real Estate.